The Martin B-10 was the first all-metal monoplane bomber to be regularly used by the United States Army Air Corps, entering service in June 1934. It was also the first mass-produced bomber whose performance was superior to that of the Army's pursuit aircraft of the time. The B-10 served as the airframe for the B-12, B-13, B-14, A-15 and O-45 designations using Pratt & Whitney engines instead of Wright Cyclones. A total of 348 of all versions were built. The largest users were the US, with 166, and the Netherlands, with 121. The B-10 began a revolution in bomber design. Its all-metal monoplane airframe, along with its features of closed cockpits, rotating gun turrets (almost simultaneously to the British Overstrand biplane bomber's own enclosed nose-turret), retractable landing gear, internal bomb bay, and full engine cowlings, would become the standard for bomber designs worldwide for decades. It made all existing bombers completely obsolete. In 1932, Martin received the Collier Trophy for designing the XB-10. The B-10 began as the Martin Model 123, a private venture by the Glenn L. Martin Company of Baltimore, Maryland. It had a crew of four: pilot, copilot, nose gunner and fuselage gunner. As in previous bombers, the four crew compartments were open, but it had a number of design innovations as well. These innovations included a deep belly for an internal bomb bay and retractable main landing gear. Its 600 hp (447 kW) Wright SR-1820-E Cyclone engines provided sufficient power. 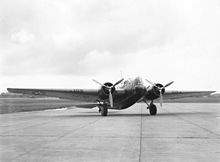 The Model 123 first flew on 16 February 1932 and was delivered for testing to the U.S. Army on 20 March as the XB-907. After testing it was sent back to Martin for redesigning and was rebuilt as the XB-10. The XB-10 delivered to the Army had major differences from the original aircraft. Where the Model 123 had Townend rings, the XB-10 had full NACA cowlings to decrease drag. It also sported a pair of 675 hp (503 kW) Wright R-1820-19 engines, and an 8 feet (2.4 m) increase in the wingspan, along with an enclosed nose turret. When the XB-10 flew during trials in June, it recorded a speed of 197 mph (317 km/h) at 6,000 ft (1,830 m). This was an impressive performance for 1932. Following the success of the XB-10, a number of changes were made, including reduction to a three-man crew, addition of canopies for all crew positions, and an upgrade to 675 hp (503 kW) engines. The Army ordered 48 of these on 17 January 1933. The first 14 aircraft were designated YB-10 and delivered to Wright Field, starting in November 1933, and used in the Army Air Corps Mail Operation. The production model of the XB-10, the YB-10 was very similar to its prototype. In 1935, the Army ordered an additional 103 aircraft designated B-10B. These had only minor changes from the YB-10. Shipments began in July 1935. B-10Bs served with the 2d Bomb Group at Langley Field, the 9th Bomb Group at Mitchel Field, the 19th Bomb Group at March Field, the 6th Composite Group in the Panama Canal Zone, and the 4th Composite Group in the Philippines. In addition to conventional duties in the bomber role, some modified YB-10s and B-12As were operated for a time on large twin floats for coastal patrol. In February 1936, the U.S. Army Air Corps used 13 49th Bomb Squadron B-10Bs to drop supplies to the residents of Virginia′s Tangier Island and Maryland′s Smith Island; with ships unable to reach the islands due to heavy ice in the Chesapeake Bay, the islanders faced starvation after a severe winter storm. The B-10B supply flights followed earlier supply flights to the islands by the Goodyear Blimp Enterprise on 2 February 1936 and by the squadron′s Keystone B-6A bombers on 9 and 10 February 1936. With an advanced performance, the Martin company fully expected that export orders for the B-10 would flood in. The U.S. Army owned the rights to the Model 139 design. Once the Army's orders had been filled in 1936, Martin received permission to export Model 139s, and delivered versions to several air forces. For example, six Model 139Ws were sold to Siam in April 1937, powered by Wright R-1820-G3 Cyclone engines; 20 Model 139Ws were sold to Turkey in September 1937, powered by R-1820-G2 engines. On 19 May 1938, during the Sino-Japanese War, two Chinese Nationalist Air Force B-10s successfully flew to Japan. 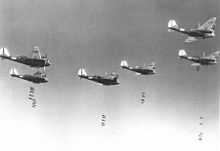 However, rather than dropping bombs, the aircraft dropped propaganda leaflets. That followed the project submitted during February 1938. Two French pilots from the 14th International Volunteer Squadron prepared a raid for dropping incendiary bombs over Kagoshima. It was refused. The Dutch Martins fought in the defense of Singapore and the Netherlands East Indies. At the time of its creation, the B-10B was so advanced that General Henry H. Arnold described it as the airpower wonder of its day. It was half again as fast as any biplane bomber, and faster than any contemporary fighter. The B-10 began a revolution in bomber design; it made all existing bombers completely obsolete. Rapid advances in bomber design in the late 1930s meant that the B-10 was eclipsed by the time the United States entered World War II. The Model 139s in combat in China and South East Asia suffered the same disadvantages as the other early war medium bombers, i.e. not enough armour and guns, while it could not outrun the latest fighters. 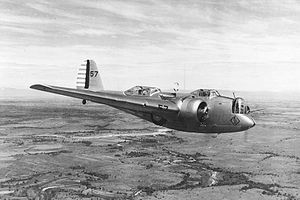 An abortive effort to modernize the design, the Martin Model 146, was entered into a USAAC long-distance bomber design competition 1934–1935, but lost out to the Douglas B-18 and much bigger Boeing B-17. 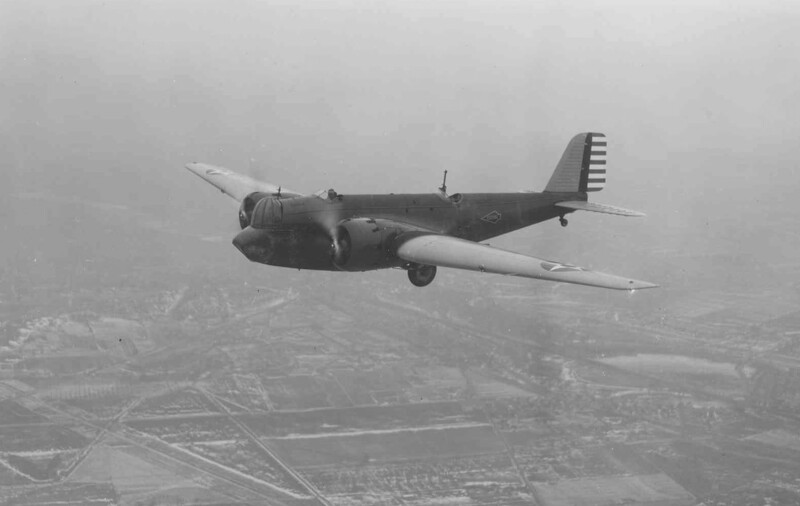 Private venture of Martin company, predecessor of the XB-10, served as prototype for the series, one built. 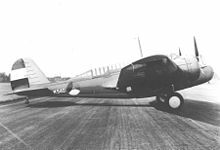 US Army designation for the Model 123 in evaluation, with open cockpits and two Wright SR-1820-E, delivered April 1932. Modified XB-907 after Martin returned it to U.S. Army for further operational trials, with larger wingspan and two Wright R-1820-19. Designation of the prototype when purchased by the United States Army Air Corps, Modified XB-907A with enclosed cockpits and turret and single strut landing gear. Army Air Corps versions, 165 built. Model 139A, test and production version of the XB-10 with crew reduced to three members, and two 675 hp/503 kW R-1820-25, 14 built, some flown temporarily as float planes. The YB-10A was different from a YB-10 only in its engines. It used Wright R-1820-31 turbo-supercharged radials, allowing it to attain speeds of 236 mph (380 km/h). This made it the fastest aircraft of the B-10 series. Despite this advantage, only one was built, as a test aircraft. According to one source, two additional aircraft ordered in 1936. Model 139, main production version with two 775 hp (578 kW) R-1820-33 engines, 105 built, delivered August 1936. According to one source this was, these were B-10Bs converted as target tugs. According to Martin's own archive, this was the designation of the YB-10 after testing, then used for airmail and Alaska missions, 13 of the 14 built were still in service in April 1940. One former NEIAF Model 139WH-3A model impressed in July 1942 and flown from Australia to the United States. Model 139B. With 250 or 500 gallons flotation chambers for safety on overwater flights, and two Pratt & Whitney R-1690-11 "Hornet" radial engines. These 775 hp (578 kW) engines gave similar performance to those on the B-10B (218 mph/351 km/h), seven built, five still in service in April 1940. The production version of the YB-12 with provision for a 365 gal (1,381 l) fuel tank in the bomb bay, giving the B-12A a combat range of 1,240 mi (1,995 km), 25 built, 23 still in service in April 1940. Re-engined version of the YB-10 powered by two 700 hp (522 kW) Pratt & Whitney R-1860-17 Hornet B radial engines. Ten were on order but cancelled before production started, not built. To test the new 900 hp Pratt & Whitney YR-1830-9 "Twin Wasp" radial engines, one built which was converted back to YB-12 after testing. Proposed attack variant of the YB-10 with two 750 hp (559 kW) R-1820-25 engines, was never built. The contract fell to the A-14 Shrike. With two 750 hp Wright R-1820-17, proposed high-speed observation role, one B-10 was beginning to be converted in 1934 and another in 1935 but both were stopped before being completed and were converted back into B-10s. The export versions, 100 built (182 including the Model 166, see below). Martin demonstrator for Argentina, later sold to Argentine Navy. Export version for Argentine Army, 22 built, delivered April 1938. Export version for the Argentine Navy, 12 built, delivered November 1937. Export version for China, six and three built, delivered in February and August 1937. Export version for the Netherlands, used in the Netherlands East Indies. Produced in block series WH(-1) (13 built, delivered February 1937) and WH-2 (26 built, delivered March 1938). Single demonstrator to the Soviet Union. Export version for Siam, three and three built, delivered in March and April 1937. Proposed licence built version to be built by CASA of Spain, production blocked by U.S. State Department. Export version for Turkey, 20 built, delivered September 1937. Final version, a.k.a. 139WH-3 and 139WH-3A, 82 built. Export version for the Netherlands, used in the Netherlands East Indies. Redesigned wings, nose and single 'glass house' canopy, bomb shackles between engines and fuselage, and better engines. The WH-3 had two 900 hp (671 kW) R-1820-G5 (40 built, delivered September 1938), the WH-3A had two 1,000 hp (671 kW) R-1820-G-105A (42 built, delivered March 1940). With the bomb shackles the bomb load could be doubled for a shorter range. A total of 121 of all types were built for the Dutch. Army Aviation Service received 22 Model 139WAA aircraft, plus 1 fuselage for training. Argentine Navy - The Argentine Naval Aviation received 12 Model 139WAN and 1 Model 139WA aircraft. Royal Thai Air Force received six Model 139W aircraft in April 1937 and used them during the French-Thai War of 1940-41, and during the 1942 invasion of Burma. It was given a further nine ex-Dutch aircraft by the Japanese in 1942. They remained in service until 1949. Turkish Air Force received 20 Model 139W aircraft in September 1937. Soviet Air Force bought one aircraft for evaluation. The only surviving complete B-10 is on display at the National Museum of the United States Air Force at Wright-Patterson Air Force Base near Dayton, Ohio. The aircraft is painted as a B-10 used in the 1934 Alaskan Flight. It was an export version sold to Argentina in 1938. The aircraft survived as a ground crew trainer, and was still being used by the Argentine Air Force for training its ground crews until the 1960s. The Air Force Museum conducted an exhaustive search for any surviving B-10 remains, and eventually learned of the aircraft. In 1970, the incomplete airframe was donated by the Government of Argentina to the U.S. Government in a formal ceremony attended by the U.S. ambassador. The aircraft was restored by the 96th Maintenance Squadron (Mobile), Air Force Reserve, at Kelly Air Force Base, Texas, in 1973–1976, and placed on display in 1976. Various parts of crashed B-10s, such as turrets and wings, were retrieved from the jungle of Borneo and are now on display in the Militaire Luchtvaart Museum (Military Aviation Museum) at Soesterberg, the Netherlands. ^ Broshot, James A. "Dutch Air Force Order of Battle in the Dutch East Indies, 30 November 1941." Forgotten Campaign: The Dutch East Indies Campaign 1941-1942. Retrieved: 17 July 2011. ^ a b c d Fitzsimons 1969, p. 1846. ^ a b c Jackson 2003, p. 246. ^ a b c d Eden and Moeng 2002, p. 931. ^ a b "Flying Fish–Our Army's Newest Plane Hits Terrific Speeds (photo of Model 123, US Army designation XB-907, in flight)." Popular Science, October 1932. Retrieved: 22 December 2010. ^ a b "M-list." Aerofiles. Retrieved: 22 December 2010. ^ a b c d e f g h i j k l m n Eden and Moeng 2002, p. 932. ^ Swanborough and Bowers 1964, p. 331. ^ Bentley, Stewart W., Jr., PhD., "The Touch of Greatness: Colonel William C. Bentley, Jr., USAAC/USAF; Aviation Pioneer, Bloomington, Indiana: AuthorHouse, 2010, ISBN 978-1-4490-2386-7, pp. 41-42. ^ Anonymous, "Bombing Planes to Bring Food to Ice Victims," Chicago Tribune, February 2, 1936. ^ Dunn, Richard L. "Illusive <sic> Target: Bombing Japan from China." warbirdforum.com, 2006. Retrieved: 16 May 2013. ^ Li & Li 1998, p. 265. ^ Xu 2001, p. 126. ^ Fenby 2009, p. 320. ^ Underwood 1942, p. 86. ^ a b Fitzsimons 1967/1969, p. 1845. ^ "Photo of XB-10." Archived 22 July 2011 at the Wayback Machine 10af.afrc.af.mil. Retrieved: 17 July 2011. ^ Swanborough and Bowers 1964, p. 332. ^ a b Baugher, Joe. "Martin B-10". American Military Aircraft, 11 July 1999. Retrieved: 13 June 2010. ^ Ay, Carlos (15 August 2013). "Catálogo Ilustrado de Aeronaves de la Fuerza Aérea Argentina". Gaceta Aeronautica (in Spanish). Retrieved 31 May 2014. ^ "Donation of the Martin B-10." Archived 26 October 2007 at the Wayback Machine National Museum of the United States Air Force. Retrieved: 13 June 2010. ^ Shores, Cull and Izawa 1992, pp. 38, 56. ^ "USAF Fact Sheet Martin B-10." Archived 26 October 2007 at the Wayback Machine National Museum of the United States Air Force. Retrieved: 13 June 2010. ^ "Martin B-10" (in Dutch). Archived 23 October 2010 at the Wayback Machine Netherlands Military Aviation Museum. Retrieved: 22 December 2010. Casius, Gerald. "Batavia's Big Sticks." Air Enthusiast, Issue Twenty-two, August–November 1983, pp. 1–20. Bromley, Kent, UK: Pilot Press Ltd, 1983. ISSN 0143-5450. Fenby, Jonathan (2009). Chiang Kai Shek: China's Generalissimo and the Nation He Lost. Da Capo Press. ISBN 0786739843. Glenn L. Martin Aviation Museum. Martin Aircraft Specifications. Li, Xiaobing; Li, Hongshan, eds. (1998). China and the United States: A New Cold War History. University Press of America. Xu, Guangqiu (2001). War Wings: The United States and Chinese Military Aviation, 1929-1949. Volume 211 of Contributions in Sociology (illustrated ed.). Greenwood Press. ISSN 0883-6884. Underwood, J. Barton (November 1941). "America Plays Its Part in the Chinese Air Force". Flying Magazine. 29 (No. 5). ISSN 0015-4806. Young, Edward M. "France's Forgotten Air War". Air Enthusiast Issue Twenty Five, August–November 1984, pp. 22–33. Bromley, Kent: Pilot Press. ISSN 0143-5450. Núñez Padin, Jorge Felix; Benedetto, Fernando C. (2007). Núñez Padin, Jorge Felix (ed.). Martin 139W en Argentina. Serie en Argentina (in Spanish). Nº1. Buenos Aires, Argentina: Fuerzas Aeronavales. Archived from the original on 13 March 2016. Retrieved 29 July 2016. 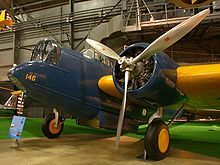 Wikimedia Commons has media related to Martin B-10.